Margery Kraus just attended her 15th World Economic Forum. We asked her to share event insights that are relevant to our Members today and as they build Agencies of the Future. What keeps you going back to Davos year after year? The three days of the World Economic Forum provide a full view into what the world is thinking. This is important for our clients and for me as a business leader. While some media outlets report on WEF as a playground for the elite, the event is grueling but incredibly informative if you’re properly leveraging the opportunity and your time. How would you summarize this year’s event? Typically, everyone is talking about who is there but this year the conversation was often about who wasn’t. Without the distractions of US politics, the role of business beyond profits was even more of a focus than in previous years. Many CEO’s are genuinely struggling with how to make their companies more relevant to the times and more agile. There was honest discussion about adapting to disruptive times and efforts to bridge the gap caused by income inequality. Davos is not — and has never been — an assault on capitalism; this year’s focus was on values and purpose, the ways that CEOs and their business can and should contribute to society beyond profits. Plastic and the effect on the world’s oceans were a big point of discussion. Also, how can AI be used for good, so we can quell the public’s concern about it? Several sessions, as mentioned above, focused on the urgent need to bridge the gap between the haves and the have nots. Diversity and inclusion were discussed as critical to future business success. There was a lot of talk about the rise of China, especially in the wake of the absence of the US. China was there in force and its leadership on the AI side was particularly noteworthy. What should leaders of Agencies of the Future take away from this year’s event? 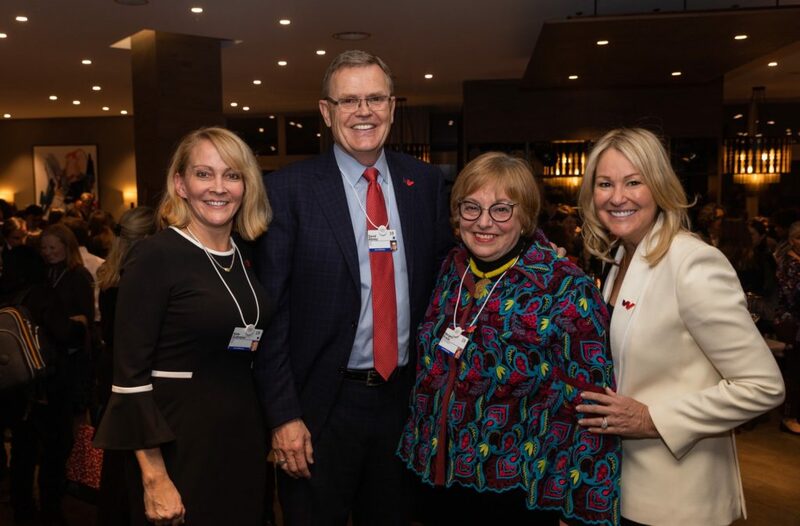 Leaders at Davos talked about the importance of communications in times of change, the critical need to over-communicate to bring people along with you. If I clock back to the mid-90s, the discussion at Davos was all about the future of digital and technology. This year, we were still talking about how big data and AI will let us work smarter and more efficiently, but the emphasis was much more on how you lead in a time of disruption. A good part of the discussion was on how you attract and keep talent and the importance of being able to articulate the reason or purpose for being in business that would inspire all stakeholders, including and especially your employees. Communicators will be the ones helping leaders articulate why their companies are in business in a compelling way and enhance it with storytelling. We have the opportunity to be much less about tactical execution; we can partner with leaders to help add value to the business strategy and compellingly convey both internally and externally, the importance of serving a multi-stakeholder audience. That requires a focus on purpose beyond profit — satisfying stakeholders beyond shareholders. Communicators are particularly adept at this and therefore can play an important role with the CEO and the rest of the leadership team in this time of disruption. One presenter referred to the CEO as the Chief Everything Officer. Agility has never been more important for leaders. We can help our clients be more agile by creating the right climate for change and articulating the importance of agility in a time of great change. We can provide excellent counsel and then the communications to drive the behavioral changes. Given your attendance tenure at the event, how have you seen the landscape change for women attending WEF? My first year at Davos, attendance was only 4% women; this year the percentage rose to 22%. Women and critical issues to women – pay parity, D&I — are now mainstreamed into the event. Three years ago, APCO joined with female leaders at UPS and Adecco, to host a first-night reception for women attendees to meet each other. It’s especially good for first-time attendees so they can build their networks on the ground. This year, over 300 women attended our event, including Jacinda Ardern, the Prime Minister of New Zealand, and Adena Friedman, the CEO of NASDAQ. Initiatives like ours are helping women identify common ground and make a greater impact on this world stage.